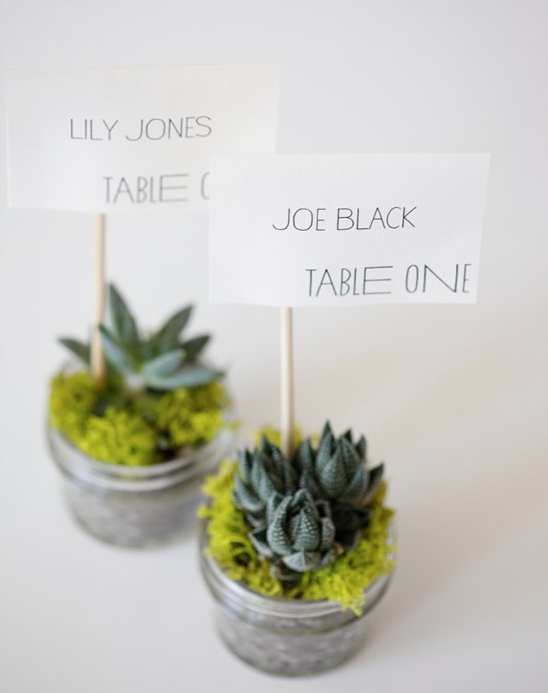 These Do It Yourself Eco Friendly Succulent Place Cards are an easy arrangement that can double as wedding favors for your guests. They do not need to be watered and require sunshine and a little love to survive. 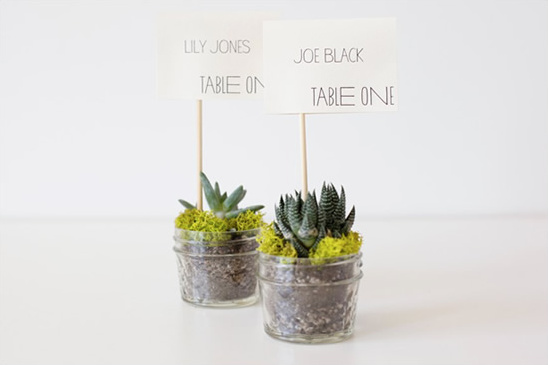 They are just pure cuteness for your guests to enjoy. 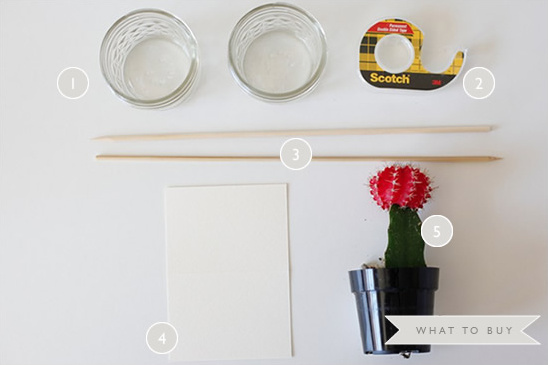 To see more of our fabulous wedding DIY projects click here.